Adam Marian Pete (born 1966 in Tarnowskie Góry, Poland) is a German-Polish painter and performer. Adam Marian Pete had his first exhibition of his works at Kulturhaus Kolejarz in 1984 in his hometown Tarnowskie Góry, Poland. 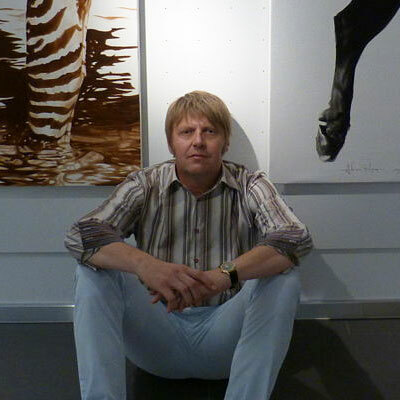 He is the co-founder of the young artists group “Model” together with the painter Stanislaw Filipiak. Adam Pete immigrated from Poland to Germany in 1985 and attended the Fachschule for Art and Design (Ferdinand-Braun-Schule Fulda) in Fulda. In 1989, he opened his first studio as a freelance artist and devoted himself exclusively to artistic work. Since 1998 Pete lives and works in Palma, Spain.